It was a promising first Super Smash Bros. Ultimate major for the Melee legend. 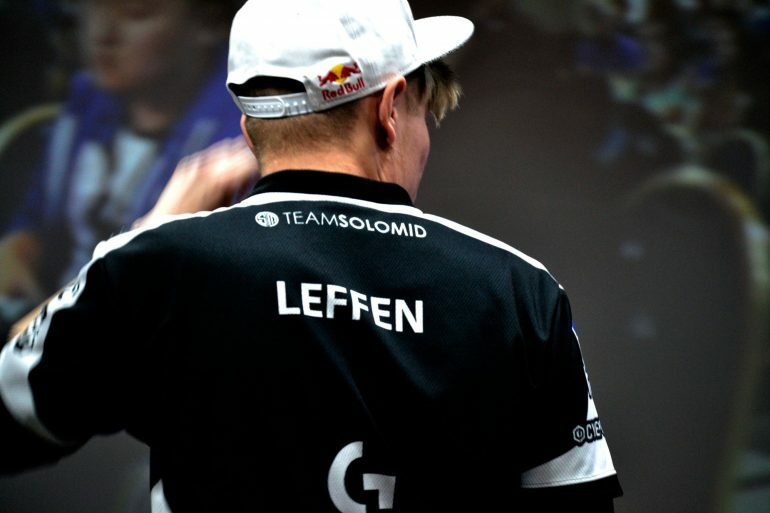 TSM’s William “Leffen” Hjelte proved that Melee players should be taken seriously when competing in Super Smash Bros. Ultimate last night at Genesis 6. The Swedish player and proclaimed “God Slayer” entered Ultimate’s first major tournament as the 56th seed. And he had very low expectations going into the competition. There were a few Melee fanatics who were hopeful that “Big Leff” would pull something out of the bag, and that’s what he did. Leffen pulled off upset after miraculous upset, taking out some of Smash 4’s top players. He played with absolute finesse, leading the way with Pokémon Trainer—a character that he admitted was too much to handle due to its innate complexity. He said playing Pokémon Trainer was essentially like maining three characters at once—and even though it has the capacity of being a top pick and has the ability to perform on stage, he would much rather put the energy into something simpler, rather than having to practice Squirtle, Ivysaur, and Charizard. In the end, he left the tournament as the 17th best player, earning a placing that doesn’t provide much (or any) of the tournament’s prize pool. Even despite his placing (a placing that usually wouldn’t deserve praise), Leffen showed the Smash community that he’s a real contender and that he’s more than capable of performing with the very best. Since Ultimate has been released, the Smash community has been speculating on how Melee players would perform against Smash 4 players. There was a similar scenario with the transitional period between Melee and Brawl, and Brawl to Smash 4—so it’s not surprising that it happened again. Smash 4 left Melee players with a sour taste in their mouths, with the hopeful few anticipating it would be the new game that they’d learn, love, and cherish, and give them the same feeling Melee once did. But it wasn’t. Smash 4 was just another Brawl, and much of the Melee fan base went back to their original, beloved game . Ultimate isn’t Smash 4, and it’s definitely not Brawl, it seems. It feels like it’s finally the game to let bygones be bygones and help the Smash community come together as one. Smash 4 players, particularly in the starting period of Ultimate, have somewhat of an advantage. They’re comfortable switching games, since most of these players have previously changed from game to game. Smash 4 is in the past for them—it’s out of date and done. They’ve fully embraced Ultimate. It’s a different story with professional Melee players, though. They’re still very much on the fence about Ultimate. Some players have embraced Ultimate, put in the hours, and are willing to put Melee to the side. But equally, there are those who would never dream of disowning Melee, and won’t even give Ultimate a real fighting chance. Genesis 6 has been a promising event for the future of the competitive game, despite its ups and downs. But there are still those who have bought their seasonal tickets well in advance and will continue to ride the Melee train. It’s a 17-year-old train, and it still has a lot of steam left in it. It’s not easy to give up on a game that’s played such a big part in much of the professional Melee players’ lives. Brawl didn’t stop them, and Smash 4 certainly didn’t derail the train, so there’s no reason why Ultimate would either. This major confirmed two things for me I was almost sure of: I can be the best despite no smash 4 exp and living in a bad region (relatively). Cuz im pretty godlike. And pokemon trainer aint worth the effort. Bad characters will keep robbing me wins unless I ditch em! Leffen is taking on both Ultimate and Melee. He’s previously juggled two games, seeing success while competing in both Melee and Dragon Ball FighterZ tournaments. We’re still in the early days for Ultimate, and it’s much too soon to say if he’ll continue focusing on both Smash games, but Genesis 6 is a good start—and it’s one that could propel him heading into future tournaments. Genesis 6 continues tonight, with the top eight of the Smash Ultimate singles tournament kicking off at 8pm CT. The champion of the game’s first major will be crowned. The top eight of the Melee singles event will also commence at 4:30pm CT.